Foster is a town in Providence County, Rhode Island, in the United States. The population was 4,606 at the 2010 census. 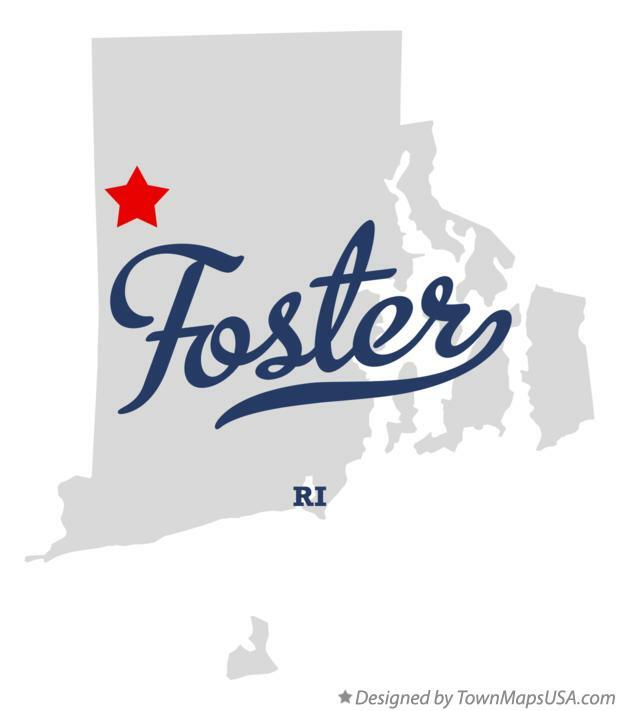 Foster was originally settled in the 17th century by British colonists as a farming community. In the year 1662, William Vaughan, Zachariah Rhodes, and Robert Wescott, purchased of the Indians a large tract of land called West Quanaug, bordering on Providence. The 'West Quanaug purchase', consisted of nearly the whole southern half of the town of Foster. The first settler was allegedly Ezekiel Hopkins. Many settlers from Newport were active in the town in the 18th century. Shortly before the incorporation of the town, Foster's first church, a Calvinist Baptist congregation was founded. Shortly afterwards, Six Principle Baptist and Free Will Baptist congregations were founded. Foster was incorporated with Scituate, Rhode Island in 1730, forming the western section of that township, and remained part of Scituate until 1781, when it was split off as a distinct and separate township. Foster derived its name, from U.S. Senator Theodore Foster. Mr. Foster presented the town with a library. Some of the library's original books and town records are still preserved. U.S. Senator Nelson Aldrich was born in Foster in 1841. Senator Aldrich was instrumental in starting the U.S. Federal Reserve Board.